PT AMI (PT Amoco Mitsui PTA Indonesia) is a joint venture between three companies BP plc. Mitsui Chemical Inc., Mitsui & Co. Ltd. The JV was established in order to support the growth of the Indonesian textile industry and is the one of the preferred and leading Purified Terephthalic Acid (PTA) suppliers in Indonesia. The plant is located in Merak within the Titan complex. 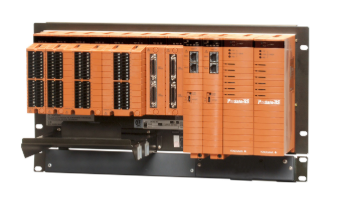 In Y2009, Yokogawa was selected by PT AMI to replace the former system with a Yokogawa DCS (CENTUM VP) and SIS (ProSafe-RS). PT AMI considered aligning the infrastructure and integrating various functions seamlessly for future enhancement and to obtain maximum benefits of legacy system replacement project. Based on the above Yokogawa was selected. Logic, CL (Control Language) and the algorithms for the reaction section are extremely complex. 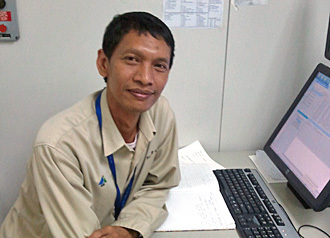 Yokogawa and PT AMI mutually studied the system to fully understand the PTA process dynamics. Regarding PID (proportional integral and differential) behavior, the parameters of existing system were imported into CENTUM VP without any issue and without the need for complicated calculations. Since part of LM (Logic Manager) functionality has a SIL requirement, it was migrated into ProSafe-RS safety instrumented system. Based on the close relationship between PT AMI and PT Yokogawa Indonesia working as a team, the project was completed successfully. Prior to installation the PT AMI technicians were able to become familiar with the system during a two week intensive training period. This involved the technicians learning how to operate the DCS using lap top simulators. In order to keep to the project schedule, there were over 70 team members (PT AMI, Yokogawa and Sub contractors) dedicated to the site installation and cut over period. Yokogawa provided work packs (work package for efficient customer work) which allowed the project to be completed in a timely manner. Since it was necessary for part of the process to be kept operational during the shutdown period it was necessary complete the cut over within 2 hours. Yokogawa prepared temporary controllers to achieve this target. Comments from Fajar Sodikin, Project Manager: "Thank you for all the support and assistance during the AMI TAR 2010 DCS/SIS Replacement project, which was completed successfully. Especially, your expertise and help have been invaluable during the commissioning and start-up, and the trouble shooting period post start up." "Currently, our plant is in the production phase and we add/modify the control sequence for further enhancement. We created this within PT AMI and this has also worked well. It is easy to use CENTUM VP engineering environment, with continuous Yokogawa support."